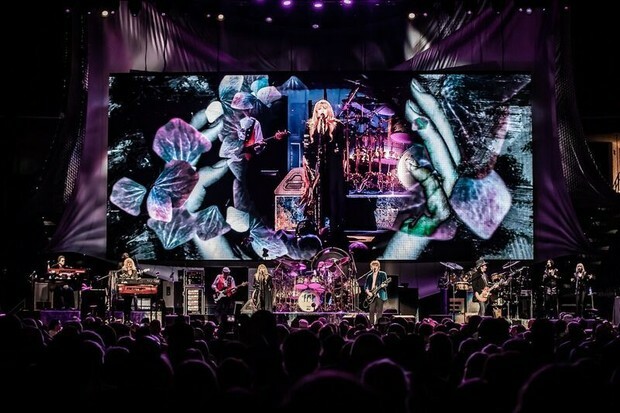 DETROIT -- Whether or not you believe the rumors about Stevie Nicks being a witch, she and the rest of Fleetwood Mac cast a spell on the crowded house Tuesday night, Oct. 30, at Little Caesar’s Arena during the group’s 50th Anniversary Tour Tuesday, Oct. 30. 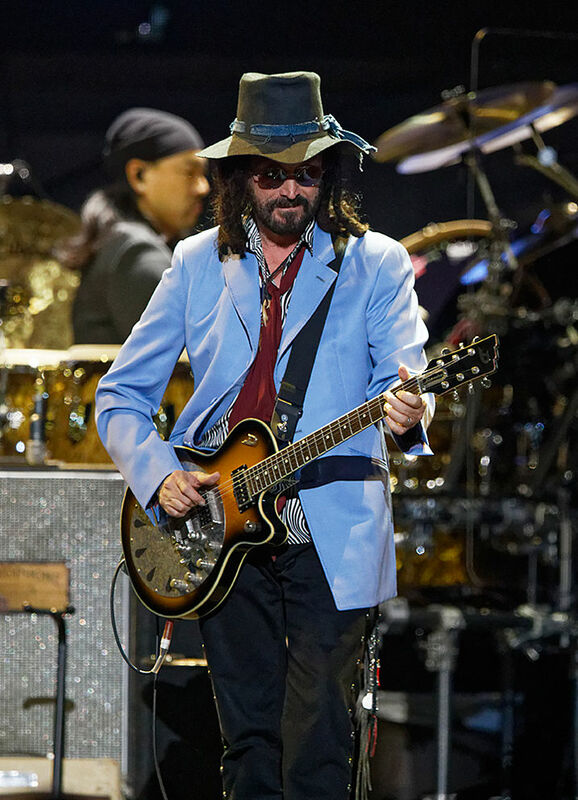 This time it was with a new incarnation of the band, currently embroiled in a public dispute with dismissed member Lindsey Buckingham -- veterans Nicks, Christine McVie, ex-husband John McVie and Mick Fleetwood joined by Mike Campbell from Tom Petty’s Heartbreakers and Split Enz/Crowded House alumnus Neil Finn. 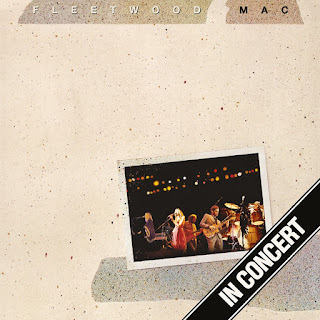 Despite a slightly older audience that remained seated for most of the show, the band came on strong, front loading its 22-song, two-hour and 15-minute set with hits such as “The Chain,” “Dreams,” “Say You Love Me” and “Second Hand News.” Two backing vocalists, a second keyboardist, a third guitarist and a percussionist put the grand total on stage at 11. With simple fabric draping and a giant video screen as its backdrop, the band relied mostly on different lighting transitions (giant lightbulbs, draped chandeliers) and video montages for effect. The Brady Bunch-esque split screen that showed each band member during the opening was also a nice touch. Anyone who was curious if Finn was a good choice to join the band got their answer early . 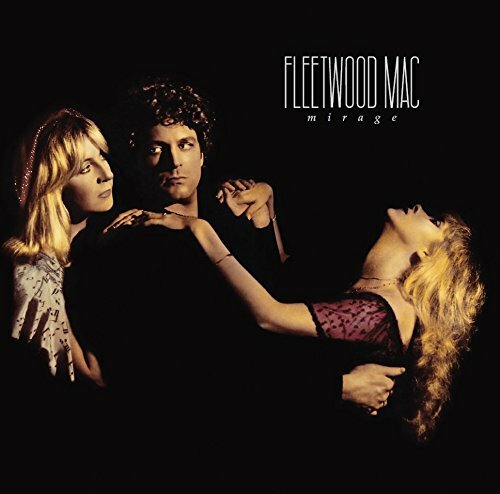 His vocal work and guitar playing quickly put to rest any question about his ability, and some of his higher range even sounded uncannily like Buckingham – especially later in the night during “Monday Morning.” He blended with both Nicks and Christine McVie for some excellent vocal dynamics and touched the fans with a version of Crowded House’s “Don’t Dream It’s Over” that had cell phone lights blinking and people singing along throughout the arena. 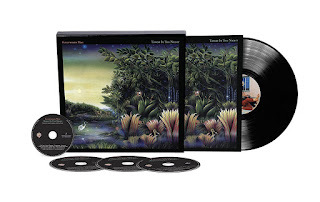 Often understated and sometimes overlooked, the double-barreled secret weapon of Christine McVie’s keyboard finesse and beautiful vocals were even more prominent in Buckingham’s absence. She took the lead on “Little Lies” and “You Make Loving Fun” and came front and (almost) center for “Everywhere,” showing off not only her talent, but the posture and energy of a woman half her age (75). 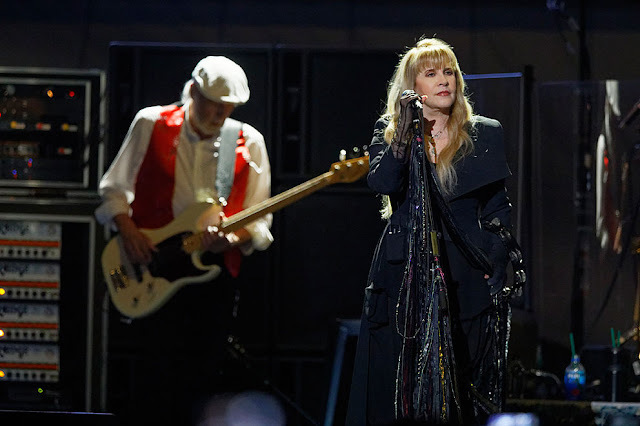 Unlike the quiet McVie who returned to the stage somewhat reluctantly in 2014, this songbird was in her element;, even trading licks and riffing with guitarist Campbell during an excellent rendition of “Black Magic Woman,” one of several songs played from the group’s earliest days as a late 60s blues-rock outfit. A bit of self-indulgence came during “World Turning” when Mick Fleetwood launched into a drum solo which lasted over 10 minutes. It could have been a display of Fleetwood’s technical and creative skill, but with the exception of the short time he played off of the other percussionist and when he stepped to the front of the stage with his talking hand drum, the solo was a repetitive call and response with the audience that dragged out the middle of the show. It was a welcome relief when the rest of the band returned to sing the final chorus. One would have expected to see a few more scarves and top hats in the crowd so close to Halloween, but the Nicks contingent made a strong showing, as did the lady herself. 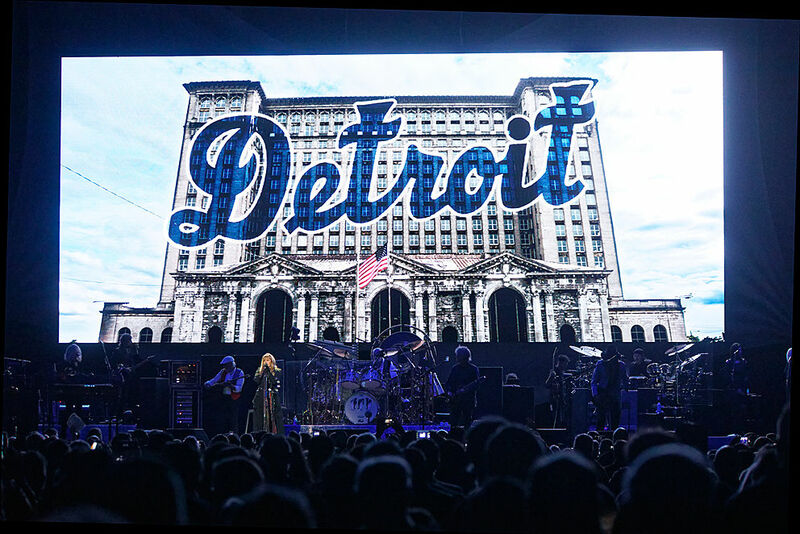 Dressed in her signature flowing black skirts, chunky boots and shawls, Nicks commanded center stage to proclaim, “Welcome, Detroit! This is show number 13 of our tour – right before Halloween! 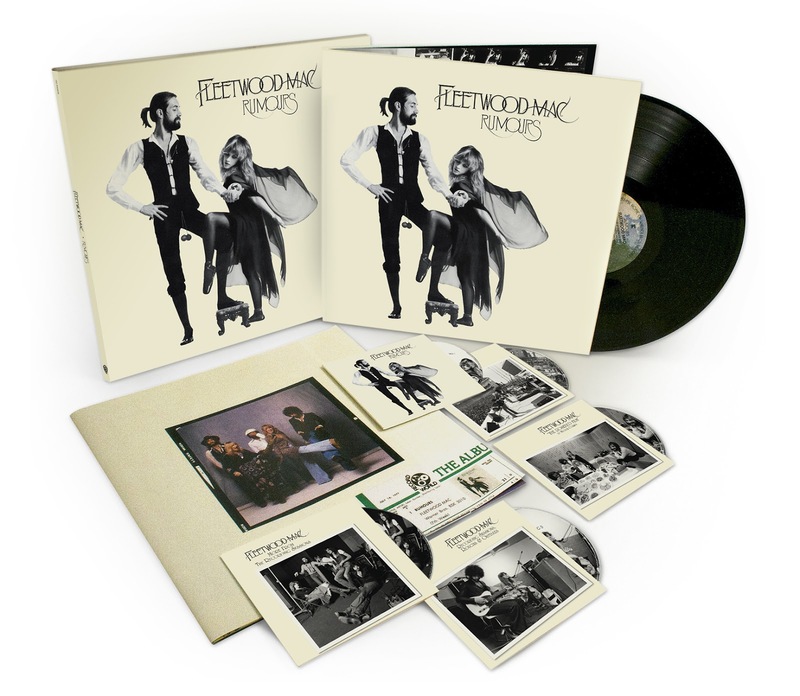 We are really happy to share it with you.” She delivered on fan favorites “Rhiannon,” “Landslide” and an extended version of “Gold Dust Woman” that allowed time for twirling and vamping across the stage before Nicks “disappeared” in a shimmer of gold dust. Her voice was pure Stevie – that familiar throaty, raspy tone her fans know and love. And while early in the night she seemed a bit strained during a couple of tunes, her harmonies and duets were all spot-on. 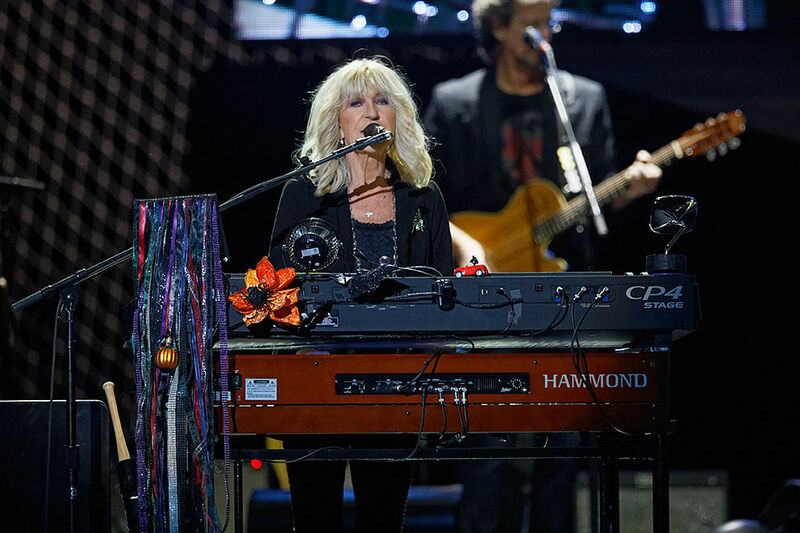 She particularly shined during an emotional encore rendition of “Free Fallin’” while images of the late Tom Petty (with Nicks, Campbell and other members of The Heartbreakers) flashed on the video screen. It was a night for looking back and moving forward, with deep cuts such as “Isn’t It Midnight” and “Tell Me All The Things You Do” mixed in with the singalong hits. 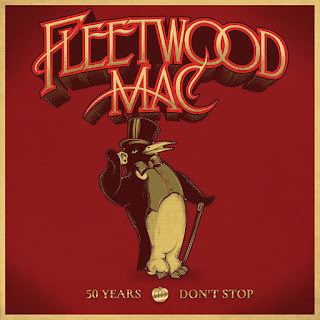 McVie and Nicks closed the night out with a poignant duet of “All Over Again,” a song McVie introduced as “about change, about the future and the hope that we can celebrate all of it.” The band’s legacy is secure, and no matter which way it goes it’s clear Fleetwood Mac doesn’t plan to stop any time soon. 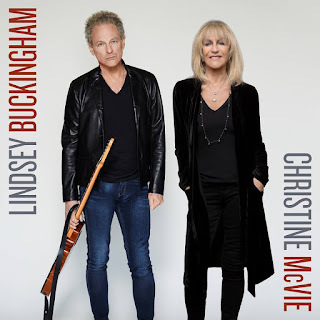 Some Fleetwood Mac fans are worried the band may not be the same without Lindsey Buckingham. After seeing them in Detroit on, October 30, 2018, I'm here to tell you that those fans don't need to be worried, but at the same time, this show was missing that certain something, or, someone. Fleetwood Mac: Stevie Nicks, Christine McVie, John McVie, and Mick Fleetwood along with newcomers Neil Finn (Crowded House) and Mike Campbell (Tom Petty and the Heartbreakers took the stage at Little Caesars Arena at 8:15 p.m. and performed 22 songs over 2 hours and 15 minutes. Yes, it was a little weird not seeing Buckingham shredding his guitar all night and hearing his signature vocals. Finn's vocals were solid and sounded a lot like Buckingham's. His guitar playing along with Campbell's were both better than good. But, still, something was missing. Bottom line, the chemistry and charisma of Buckingham just wasn't matched. Did it matter, though? The music was still fantastic and the band was terrific with Mick on drums, John on bass and Christine on keys along with two backup singers, another keyboardist and a second percussionist. And then there's Stevie Nicks. She still has that hypnotic voice which mesmerizes you with every word. She stole the show with her vocals on songs like "Rhiannon," "Dreams," "Gypsy," "Landslide" and "Gold Dust Woman." 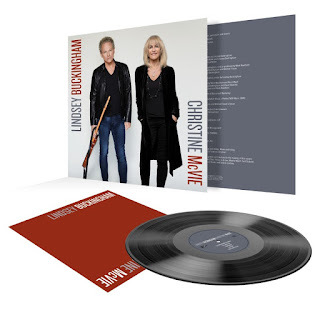 Yes, McVie performed a few of her big hits with "Little Lies," "You Make Loving Fun," "Say You Love Me" and "Everywhere." And while it's terrific hearing her smooth vocals on those great songs, there was nothing like hearing Nicks live. You just wanted to hear more of her. One of the coolest moments of the concert featured Finn performing a stripped down version of his Crowded House hit "Don't Dream It's Over." He sounded great and watching Nicks perform it with him as a duet beginning in the middle of the song made it even greater. Campbell took lead on one song, the Peter Green Fleetwood Mac song "Oh Well." It was short and sweet. 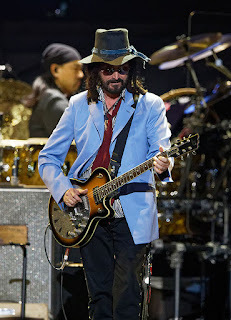 However, the encore in which he and the band paid tribute to the late Tom Petty really brought down the house. Nicks belted out every high note with passion as photos were shown on the screen behind them of Nicks and Petty over the years along with Campbell and Petty. Truly an outstanding tribute from numerous living legends to another legend. 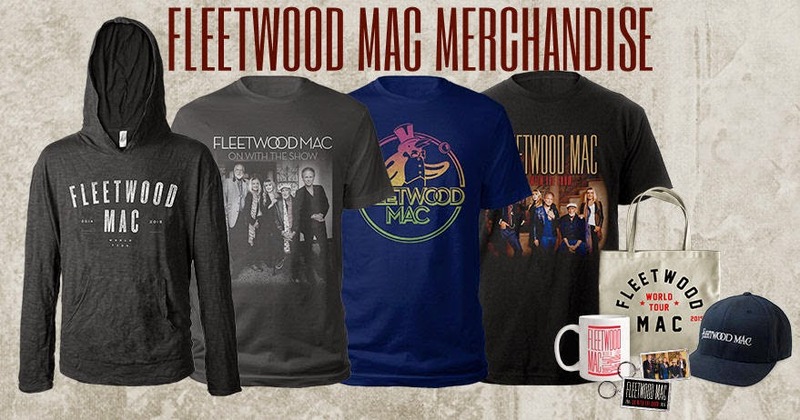 Summary: If you've seen Fleetwood Mac with the full lineup, this show will still be a very enjoyable night for you because of the outstanding band and vocals of Nicks. Finn and Campbell are great musicians and hold their own, but this show just didn't have that certain something Buckingham brings to the table. 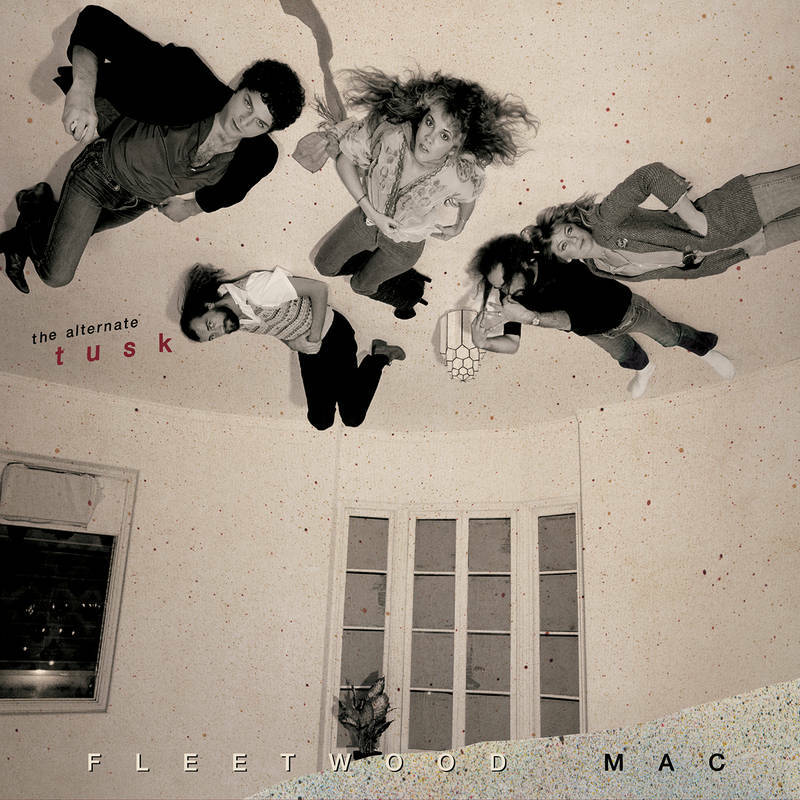 Those who have seen Buckingham with Fleetwood Mac know what I'm talking about. 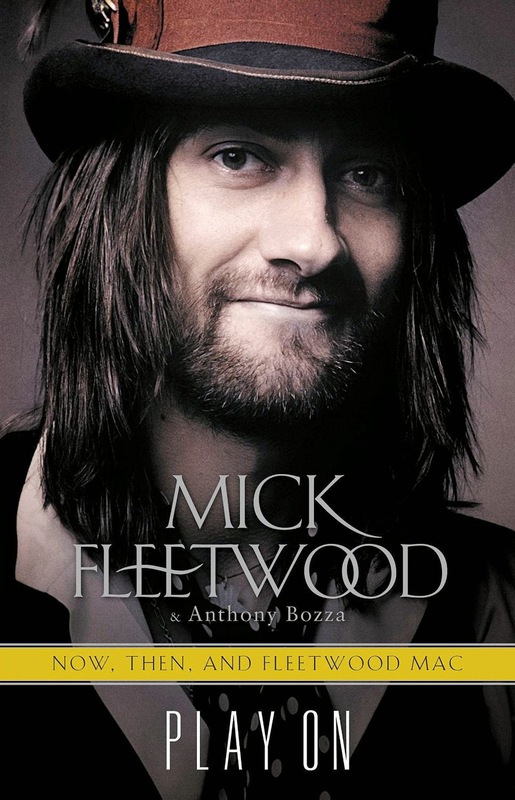 So, enjoy this show for it's great music, great musicians and Nicks amazing voice. 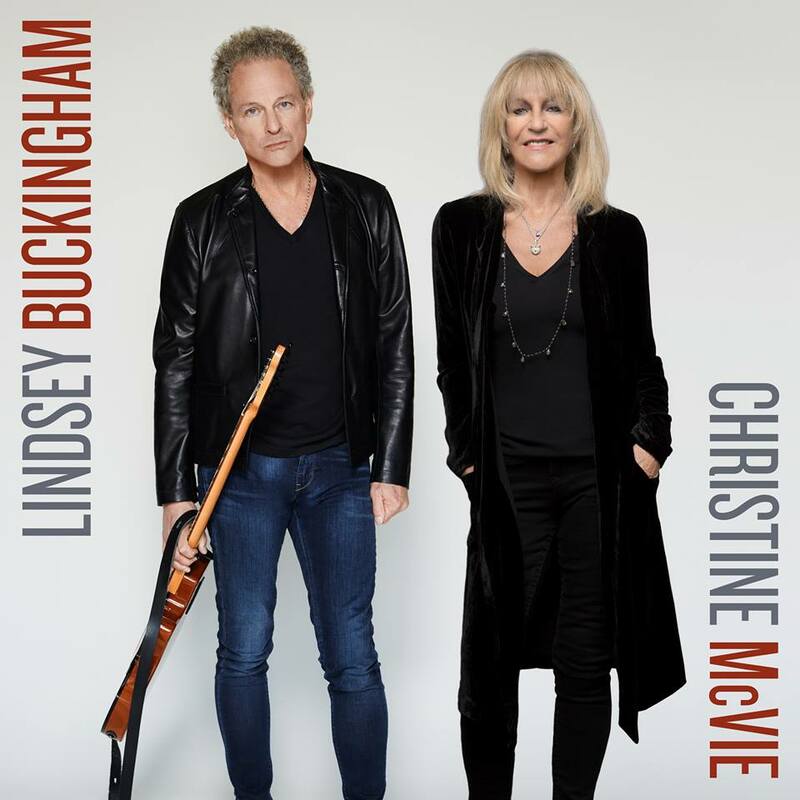 Just know you are going to miss a little of that Buckingham magic. Stevie Nicks: "Welcome. This is show No. 13. Closing in on Halloween. We are having a great time. We are really happy to share this as we are getting used to this and we are happy you are here to share it with us. Welcome Music City. Thank you." Stevie Nicks: "This is a song ("Black Magic Woman") that was done by a really really big rock n' roll band. Even I thought they wrote it. They did not write it. Really John, Mick and Peter Green did. We decided to take it out of the trunk of old fantastic things and instead of looking at it through a man's eyes, look at it in this year of the woman, through the eyes of a woman." Mike Campbell: "It's so great to see everybody here tonight. This is an old song, goes way back, it was written by Peter Green. It's called "Oh Well." Mick Fleetwood: (introducing "Don't Dream It's Over") "There was a song many years ago that I heard. At that point, I had no knowledge of who had written it, who was singing it. I sort of heard the beginnings of the band that this gentleman was in and created. 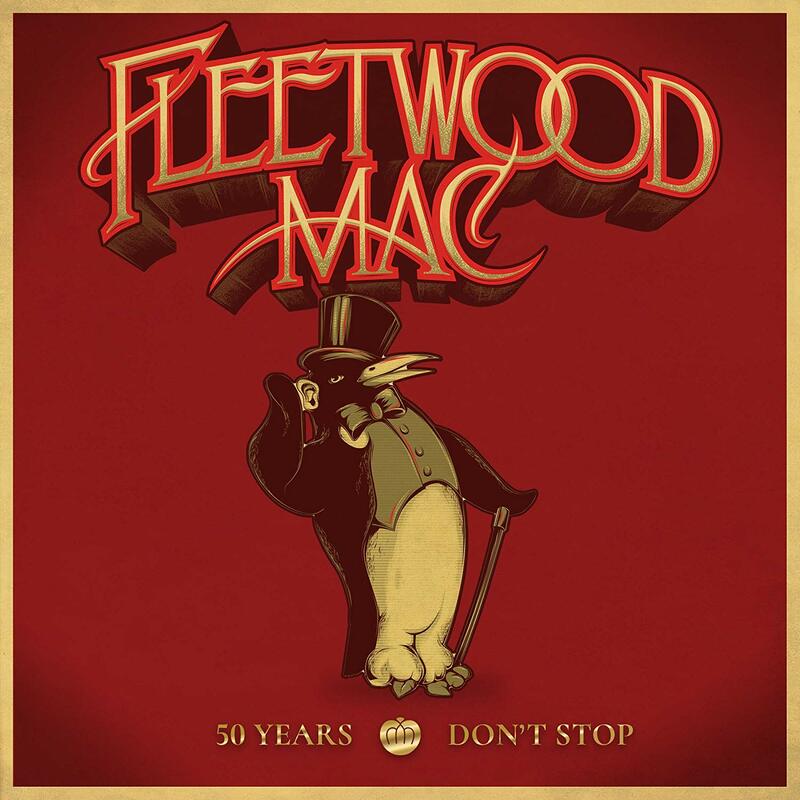 I had no idea all these many years later that song which had resonated with me in a moment in life when I truly needed to hear this song, having come full circle in the magical ether we all live in. It's my pleasure to not only introduce this lovely song, but the gentleman who wrote it. 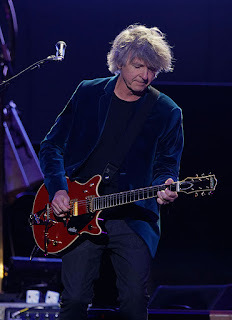 Mr. Neil Finn." 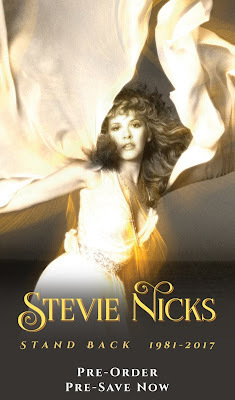 Stevie Nicks: We do this song just about every time I've been on stage since 1973 when this song was written. Tonight, I have to say, I looked for my friend Kick Rock, who's not here. I was devastated. He's somewhere off in Nashville. 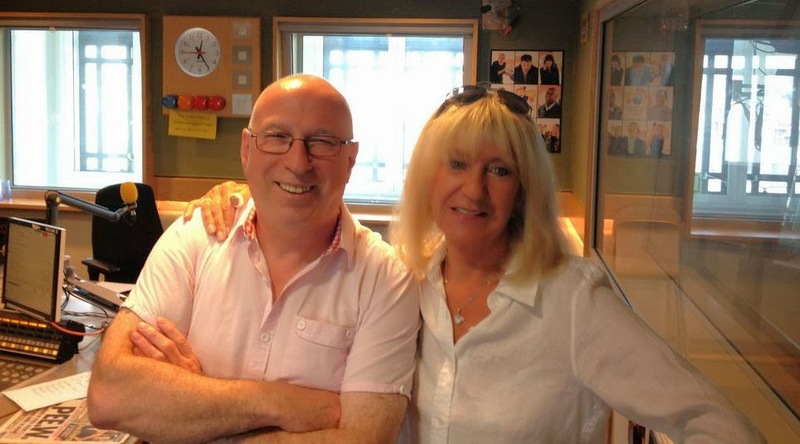 So, I would like to dedicate this song to Susan, who is a magical trip maker. It's called "Landslide." Christine McVie: (introducing "All Over Again) "Stevie and I would like to do a duet. This is an older song which I had kind of forgotten about. 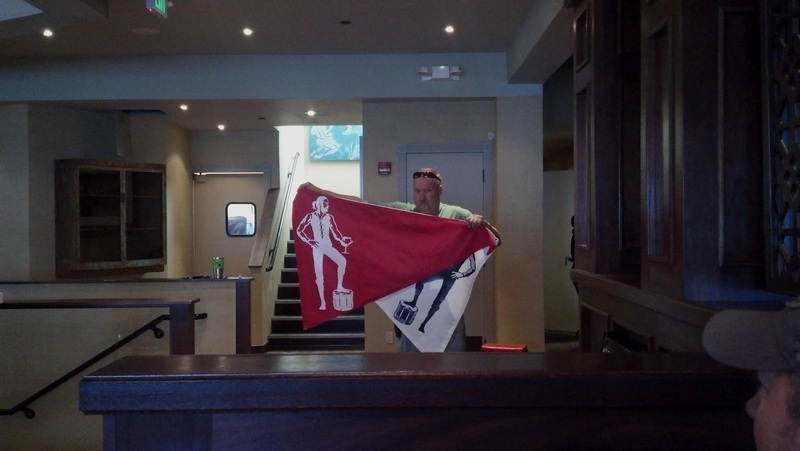 My friend Stevie re-found it. It's about change. It's about surviving change. It's about the future. I hope this song celebrates all of that."